I love my gardens. I grow several throughout the yard. Splashes of color and light, a mixture of the natural and artifice. I’m an inconstant gardener, often not planting for years at a time, stepping back and waiting to see which plants adjust best, which begin to grow wild, and often lamenting those who are not able to thrive. As a result, my gardens are haphazard, little pools of chaos that in many ways mirror my life. The favorite parts of my gardens, however, are those plants I didn’t sow. Those that were here before, and likely will be here long after I’m gone. 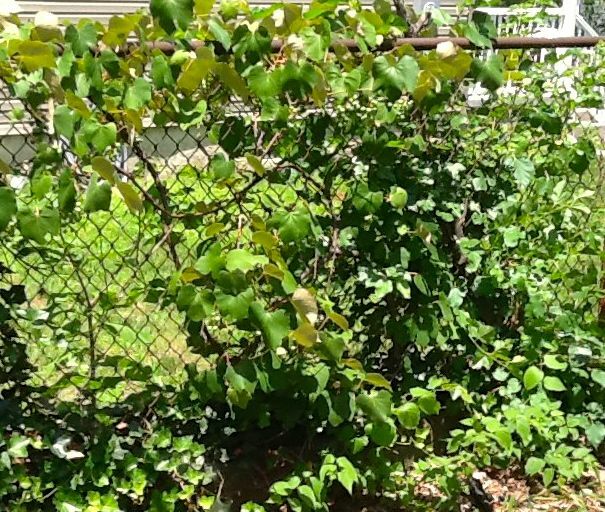 In my garden, this includes the ivy, a lush green carpet that predates even my family’s initial arrival back in 1968; the grapevines promised to me by my grandfather in the 70s and 80s, and the honeysuckle, a relatively late edition that started as a few wispy vines when I moved back here in 1995 and has taken over the front in the nearly two decades since. The ivy has always fascinated me. When I lived here as a child, it occupied a dark corner near where I dug holes in the sand and climbed the ancient mulberry tree. It was a place of mystery, this ivy patch, graveyard of dozens of baseballs and balsa airplanes and plastic army men tossed carelessly aside. Filled with biting insects, I suspected it housed not only hidden treasures, but also the gravest dangers my overheated imagination could conjecture.. When I moved back home, the ivy had taken over much of the back yard, only the acidic waste of the Mulberry tree holding it in check. I eventually cut it back, tried to contain it in its own corner, but ivy is patient, inexorable and will always find a way to slowly escape the confines you assign. Keeping it in check is an obligation, so much like the responsibilities of life are an obligation. A tendril allowed to crawl over the back fence eventually leads to that fence being overrun, like that one blackberry message answered at the dinner table slowly transforms into ten or twelve hour days at the office and vacations spent on the laptop. It can cover everything if you’re not careful, burying beneath that dusty greenery all you have planted and hoped for. And yet, that greenery has a purpose, for the ivy gives cover to a vast array of animals and plants. It’s the daytime home of the firefly, which gave my children delightful starlight within a hands reach when they were small. It’s finds a place for the carpet rose, its blossoms made somehow more lovely by the deadly thorns that ring its face. And it covers some of the ugliness that life sometimes thrusts at us, the rusted fence – too expensive to replace – turned elegant under a curtain of broad green leaves. Tree-trunks and stones and sorrows that no longer have their place slowly disappear beneath the twisting vines and are forever forgotten. The honeysuckle, in contrast, gives itself no time to forget, it simply moves forward too quickly. The fastest of the vines, it was the only one that wasn’t here before my grandparents died, appearing in the front corner of the yard during our first year, a harbinger of the beauty and light we would find in our new home. It is the sweetest of the vines as well, the heady perfume that fills our house well worth the occasional sneeze and the watery eyes that the pollen brings. You can waste hours, simply breathing in that nectar, watching the blossoms, a tapestry of gold and white, lovely as your dreams of the future, as your desires for now. But there is danger in the pursuit of those dreams, those desires, for they are temporary things and can change as quickly as those blossoms fall to the ground to be replaced by others. And the honeysuckle, for all it’s beauty, can kill. It strangles the plants around it, wrapping tendrils around stems and draining life, just like the pursuit of that nicer car or that latest gadget, or even simply that extra hour spent in front of the television can sometimes make the rest of your life turn grey and brittle. 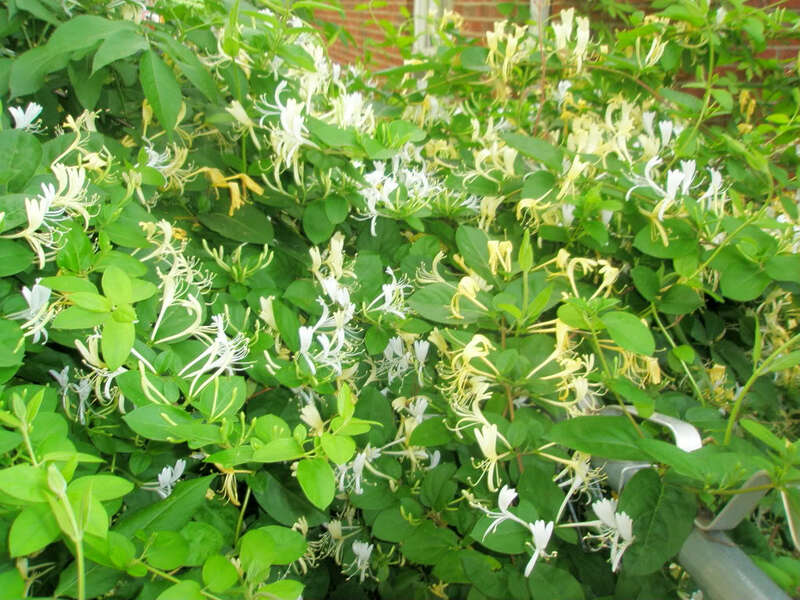 You must move quickly with the honeysuckle, set boundaries and stick to them, separating it from the flowers that you’ve planted and tend to before they can be throttled, for even the sweetest of perfumes can grow overpowering when it overwhelms the other scents. The last of the vines, the grapes, occupy the center of the yard. They may have been planted by my grandfather, family history is vague, but regardless, they are my birthright, specifically named as mine when my grandfather got in his cups and listed to my ten-year old self my inheritance upon his passing. When I returned here, the grapes were in full bloom, providing buckets of purple globes, filled with stones and bitter, but bursting with potential in the right hands. Unfortunately, I didn’t know how to prepare them, how to take what I picked and turn it into something magic and sweet. And I didn’t tend to the vines. 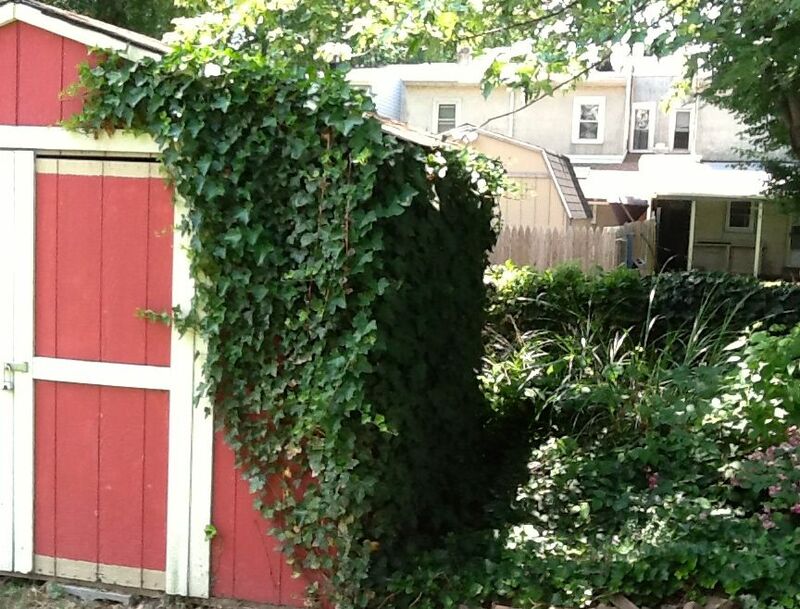 I let the ivy approach from one side and the honeysuckle strangle from the other. I let trees grow and overshadow them and before long the vines were forced to follow the sun and the only grapes they produced were far out of reach, forgotten by all but the birds. And then my neighbor removed one of the trees. And though I worried that the grapes may be too fragile and wouldn’t survive, they clung to life and began to awaken. much like Jenn Brozek first awakened in me the possibilities at that first GenCon five years ago. I removed the other tree, letting in more light; just as I discovered that there were other gardeners of words and a world of possibility introduced to me by KA Magrowski, Kathryn Craft, and Kelly Simmons; and later still by Jon Maberry and Glenn Walker. And perhaps most importantly, I cut back some more of the ivy, reigned in the honeysuckle, tried to instill some balance into my garden. And this year, for the first time in almost half a decade, we produced grapes. Granted, they’re small, and still green….and much fewer than when I was two decades younger and filled with ideas and energy. But I’m still learning how to cultivate them, how to put them to best use. And I’m committed, more than ever now, to tend to them carefully, to never again let them get overridden, and to rejoice in the fruit when it comes. 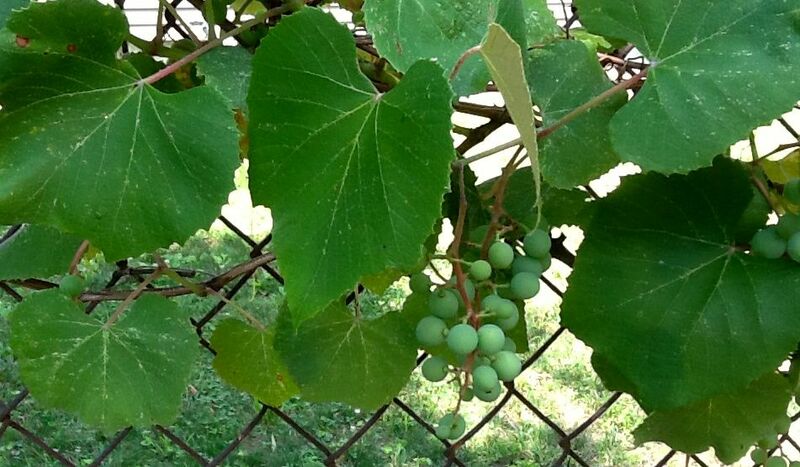 What are your grape vines? Your ivy? Your honeysuckle? And how will you cultivate and contain each one? Great post. My favorite so far. I killed my grape vines after years of trying to grow them. Very sad for me because I cut them back too much that year. What does this mean? The voice of the above piece almost didn’t sound like you. Maybe because it’s a subject I don’t remember you writing about. Beautiful prose. Thanks.